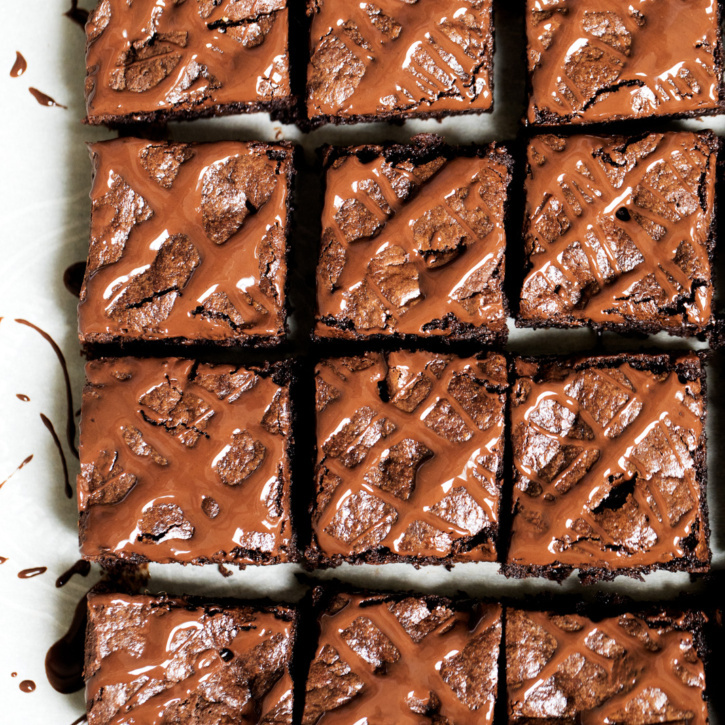 The best brownies I’ve ever eaten: tahini brownies. 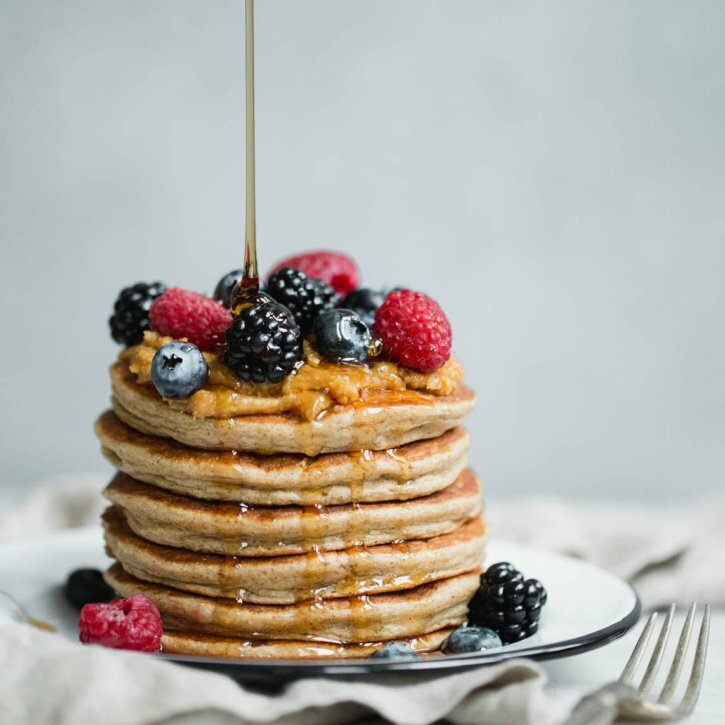 No butter, flour, oil or refined sugar. 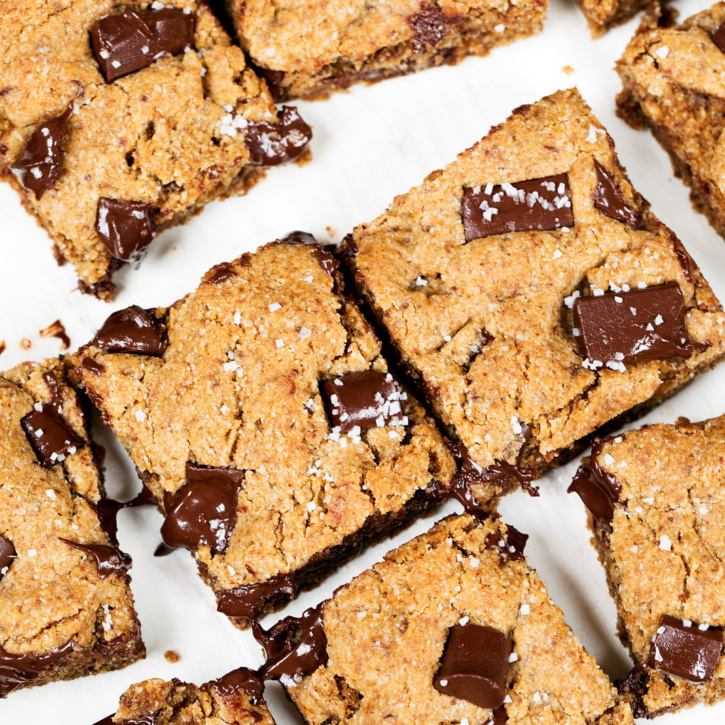 These paleo, gluten free and grain free brownies are simply incredible with REAL, wholesome ingredients! While I was in Israel last November, I consumed the most tahini I had ever had in my life. The hummus (or often pronounced WHOOO-MUH-S) was one of the best things I’d ever eaten. Granted I have never been to Greece but this stuff was creamy, rich, and with a slight bitter tang from the freshly ground tahini. After eating tahini for over a week with various dishes like roasted pumpkin, bread, meatballs and more, I became addicted. And even more so when I found out that Trader Joe’s sold tahini (aka sesame seed butter) for less than $5. 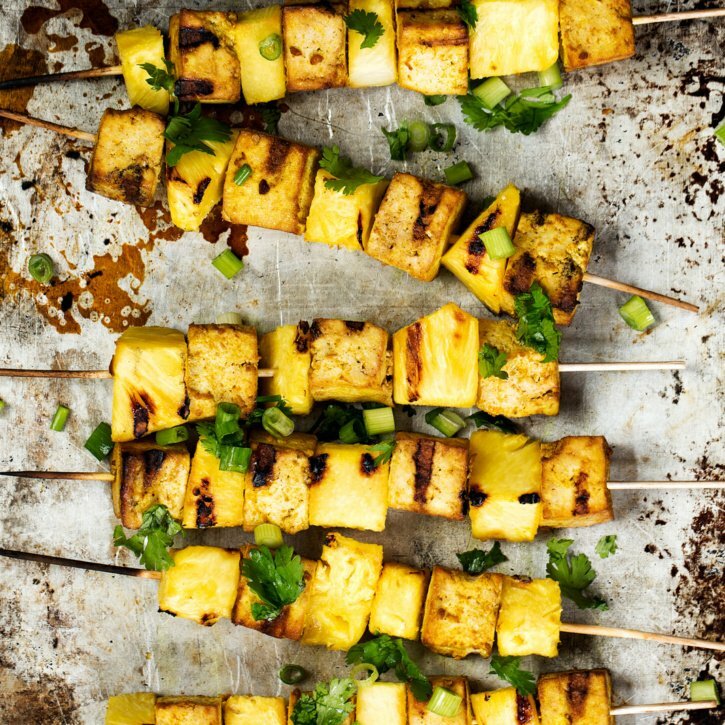 Beautiful ready to grill tofu kabobs made with extra firm Nasoya Tofu, a soy ginger turmeric marinade and fresh pineapple cubes. Delicious and perfect for the vegetarians in your life! I’m sitting here going over our wedding playlist, wondering what the big day will be like when it actually comes. Will I be anxious? Nervous? Stressed? Carefree? Deliriously happy? All that I know is that I’m looking forward the day we say I do, but for reasons other than just having the wedding. To me, it’s not about the big day — that’s for everyone else in our lives. What will come on our wedding day for us, is that we acknowledge that we’re finally in it together, forever. That we’ve sealed our souls as best friends, lovers and partners in life. That we close one eye to our faults, we promise to never give up and to always say I love you, even when life gets hard — which it will. Life is funny that way sometimes, wouldn’t you agree? 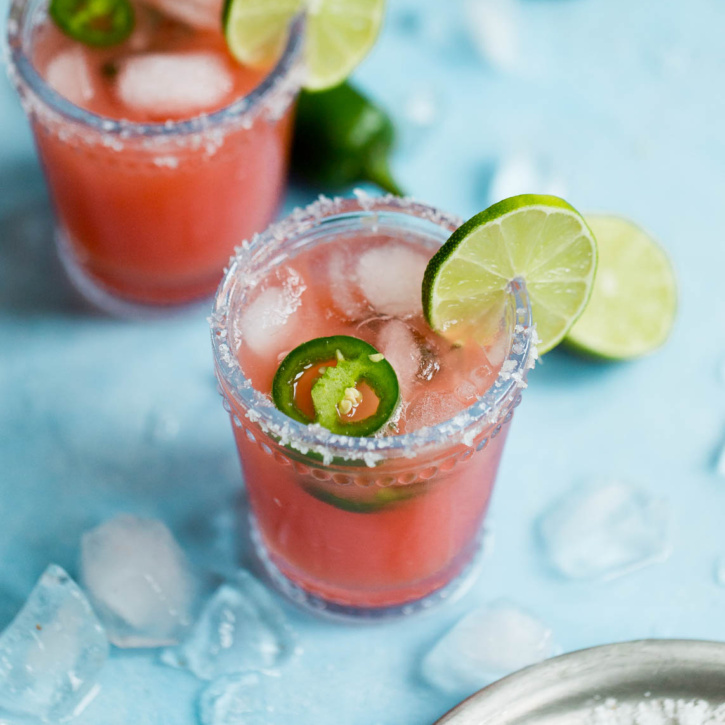 Skinny Jalapeño Watermelon Margaritas that are naturally sweetened with watermelon juice and a touch of agave. 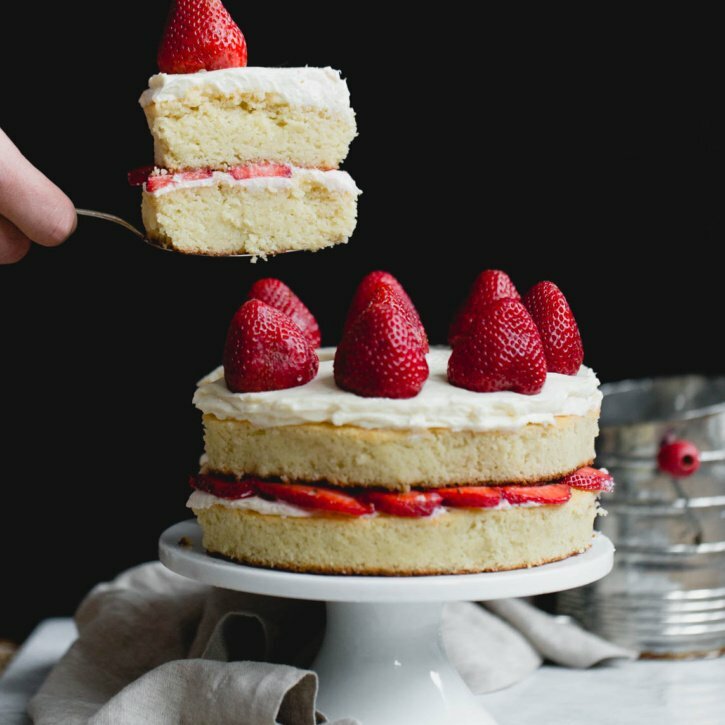 So easy to make and perfect sweet and spicy. The ultimate summer margarita! Options to make a small batch or a pitcher to share. Happy almost Cinco de Mayo, friends! I’ve been laying on the beach in Cabo reading books I’ve collected from Amazon over the past few months. It’s a terrible habit — you know, buying books, reading a few chapters then getting caught up in all my to-do lists. But here’s something I recently learned about myself: I must take the time to read and listen to other human beings life perspectives on a consistent basis. I know this seems silly and maybe a little obvious, but the insight another person’s life experiences bring me keeps me grounded and thoughtful in my day to day adventures. It keeps me in tune to my emotions, to others and the ability to see outside of my every day box of life. So, finishing all those books is now at the top of my to-do list. The easiest slow cooker turkey tacos on the planet. Made with a DIY homemade taco seasoning. 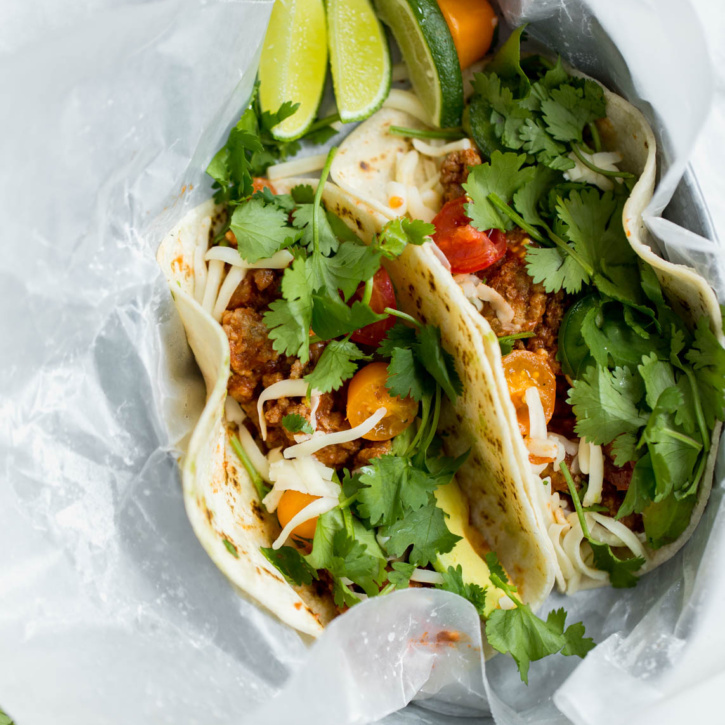 My go-to weeknight taco recipe! HELLO FROM CABO! Life couldn’t be sweeter in my neck of the woods. Wait, did I just quote Al Roker. WHO AM I. Apparently I’m older than I think if I start quoting the weatherman from the Today show. 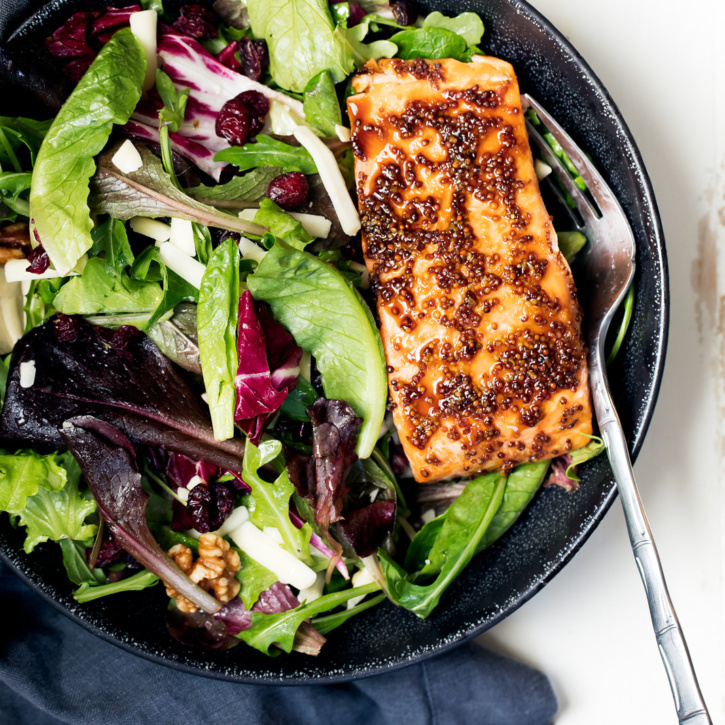 You only need 30 minutes to make this amazing honey garlic salmon paired with Dole’s new fabulous organic Apple Dijon Salad! Five years ago I would have been crowned the salad queen. Now Abra (AK’s brand manager) has taken the position that over. If you follow us on Insta, you know that we’ve adopted the hashtag #abrassalad. Every day she packs the most delicious little lunch and meal prep concoctions: roasted brussels with goat cheese and chickpeas; kale salad with garlic and carrots, and a sautéed broccoli with chickpeas and cranberries. 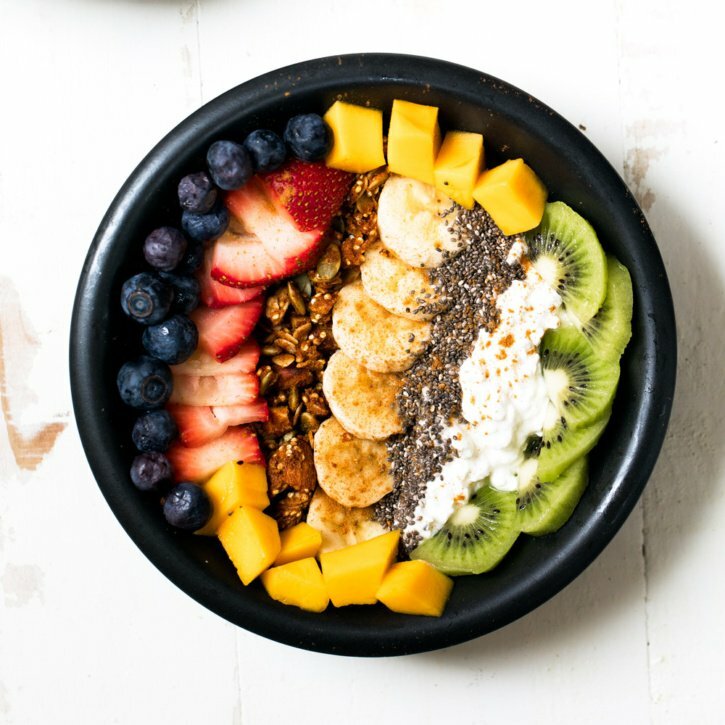 Can you say veggie inspo? Incredibly delicious healthy chipotle ranch dressing made with greek yogurt. 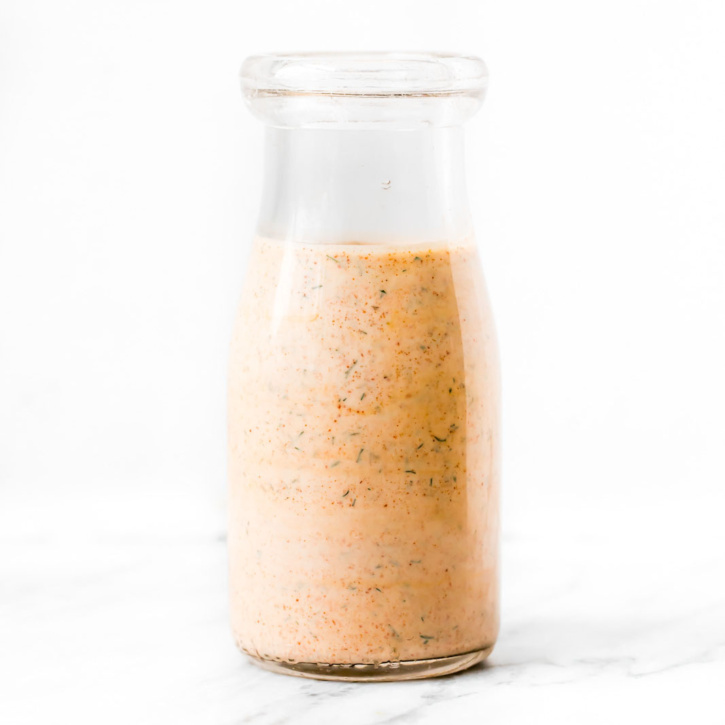 This creamy dressing or dip has a kick of heat and will be a new favorite to drizzle on tacos or southwest inspired meals and is delicious for dipping sweet potato fries in.